It’s two weeks till Thanksgiving here in the U.S., and I’m thinking kitchen thoughts. Not food, but the kitchen as a space, for I still have a few adjustments to make in our kitchen. Meg Van Lith, via Design*Sponge. It’s from the home of Meg and Doug Van Lith and family in Phoenix, AZ. I love wood and plants, and although the wood tones here are darker than what I prefer, the result creates such an inviting kitchen. Although ceiling-height tile backsplashes can feel cold and clinical, that’s not the case this time; the warm tones in the rest of the space counteract the backsplash. Also, the tile pattern carefully coordinates with the lighting over the island, and the open shelving and plants soften the strict black and white color scheme. Clearly Meg knows what she’s doing. It would be a pleasure to live in that house! Also, I LOVE that they’re using their dining table for other everyday activities too, such as puzzle building. For me, a home isn’t a home if it’s too precious. 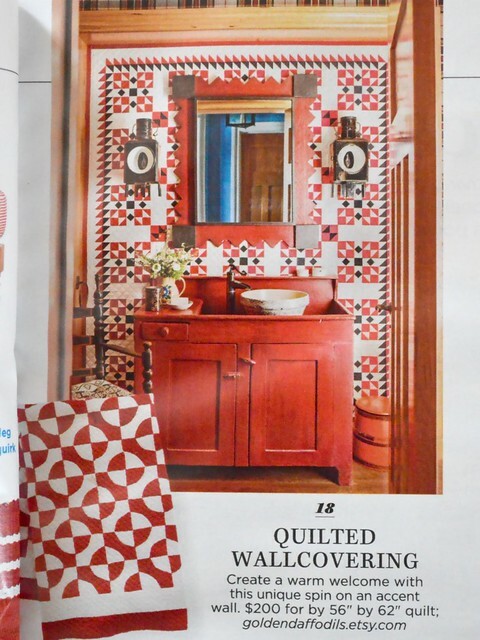 Visit the Design*Sponge article for more photos of the gorgeous Van Lith home. 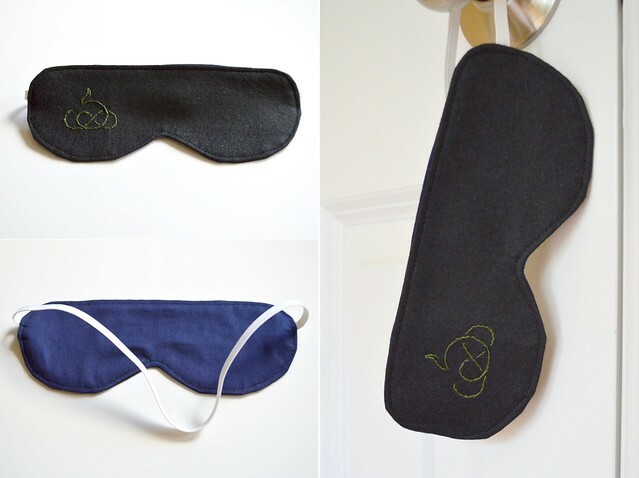 Here are my donations for Con or Bust‘s yearly online auction for 2017: two sleep masks. One is a sleepy critter. 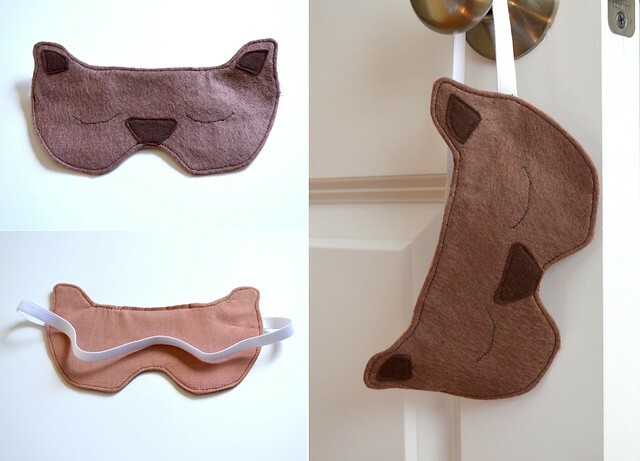 It’s made from brown polyester felt lined with a soft linen blend fabric; there’s also felt applique (ears and nose) and embroidery (eyes). The other has a stylized dragon embroidered as an interlace pattern on black polyester felt lined with navy blue cotton. Bidding will start in two weeks, on Monday, April 24, 2017. Before that, you can have a look at the 2017 Auction Index (Google spreadsheet), visit the Con or Bust website for more information or browse the 2017 Auction Tags. As I’ve had firsthand experience of being on a miniature budget and having to limit my geeky hobbies accordingly (i.e., not that much fun), I decided to add Con or Bust to my list of things worthy of support. This is my second time donating.